Four UK parks are set to benefit from £100,000 of investment which will encourage local people to get active in their local park. Capital grants from The London Marathon Charitable Trust have been awarded through the Active Spaces programme delivered in partnership with Fields in Trust. The four recipients of a capital award of £25,000 each are The People's Park in Ballymena, Antrim; Halewood Park in Knowsley, Merseyside; West Pilton Park in Edinburgh and Gelligaled Park in Rhonda Cynon Taf, south Wales. Each award will enhance a vibrant green space to encourage good health and physical activity. Well-designed and well-maintained, accessible green space can have a positive impact on public health. Recent research by Fields in Trust demonstrates the significant health and wellbeing benefits for those who visit parks and green spaces regularly. An estimated £111m per year is saved by the NHS immediately, just from prevented GP visits alone. Encouraging those who do not currently use parks regularly to do so could save further health expenditure. Learning from these insights, the Active Spaces programme is supporting physical activity projects to inspire the most inactive communities to get active and use their local outdoor spaces. 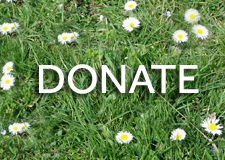 Funded by The London Marathon Charitable Trust this programme pays for the cost of protecting open green spaces in perpetuity for future generations to use and enjoy. 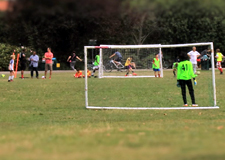 The programme also offers each space £5,000 to help initiate community participation in sports and physical activities on local parks and green spaces across the UK. Four £25,000 capital grants, one in each home nation, will also allow substantial improvements to parks and green spaces which have been protected. Active Spaces is the first UK-wide funding programme from The London Marathon Charitable Trust which makes grants to projects that encourage people to get active. The funding comes from the surplus generated by the iconic mass participation events organised by London Marathon Events Ltd.
Chief Grants Officer for The London Marathon Charitable Trust, Sarah Ridley, said: "Congratulations to these four deserving winners; each has demonstrated remarkable potential to transform physical activity opportunities for its local community and visitors. Since 1981, The London Marathon Charitable Trust has funded a huge range of projects that have inspired millions of people to get active, and now we look forward to seeing these projects deliver more such opportunities well into the future." Chief Executive of Fields in Trust, Helen Griffiths, said: "We know that parks and green spaces contribute to health and wellbeing; people enjoy greater life satisfaction including both improved physical and mental health, directly as a result of regularly using parks and green spaces. We congratulate each of the recipients on their award which will contribute to happier and healthier local communities able to enjoy their parks in perpetuity." Mid & East Antrim Borough Council will improve already popular walking trails within the park and create a trim trail, with the addition of outdoor fitness equipment manufactured from natural timber, to ensure The People's Park retains its scenic environment along the paths and trails amongst the most beautiful areas of the park. Mayor of Mid and East Antrim, Councillor Lindsay Millar, said: "I'm delighted People's Park will be benefitting from exciting new facilities. This initiative means the park is also protected from future development, so it remains an active space for recreational use. Active spaces are proven to help people stay physically and mentally well, they are where memories are made, and precious spare time enjoyed, so it's great to see them continue to do that for generations to come. "Health and wellbeing is one of council's priorities and it's reassuring to see this commitment supported by long established organisations like Fields in Trust in partnership with The London Marathon Charitable Trust." Edinburgh City Council will be installing an outdoor gym in this park to the north of the Scottish capital. The new gym will provide a focus for physical activity in the park enabling groups to meet for exercise in their own time and at no cost. 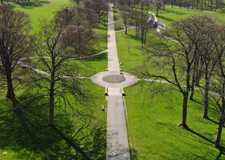 Vice Transport and Environment Convener at Edinburgh City Council, Councillor Karen Doran, said: "Parks play such an important role in our communities and can really help to boost wellbeing. "Here in Edinburgh, we have no shortage of beautiful outdoor spaces and West Pilton Park, with its fantastic play areas for toddlers and kids and playing fields for sport, is a great example of how parks can support people to have fun getting active. "I'm absolutely delighted to see Fields in Trust recognise just how important the park is to the area with this significant investment. The funding will be used to create an outdoor gym which have a lasting legacy - reaffirming how vital it is we protect our parks and green spaces for future generations to enjoy." Rhonda Cynon Taf County Borough Council in south Wales are undertaking extensive park improvements to encourage greater informal sport and active recreation including a 'Learn and Burn' trail; walking/running routes; bike trails; a family fun area and a wellness zone. Cabinet Member for Environment, Leisure and Heritage Services at Rhondda Cynon Taf Council, Councillor Ann Crimmings, said: "We are very pleased to have secured this generous funding on behalf of our communities. "Rhondda Cynon Taf is home to many breathtaking open spaces, which are used by people of all ages. They are places people can access for free to play, walk, spend time with their loved-ones, run, cycle and more. It is so important for peoples' health and wellbeing that they have access to quality open spaces that do not cost them money to enter. "The welcome funding for Gelligaled Park will allow further investment in our parks and open spaces to provide open-air opportunities and activities for the entire community." Knowsley Council on Merseyside are initiating a total redevelopment of this well used park including new cycle/walking/exercise route, seating, safe woodland areas and diversifying wildlife habitats and creating an accessible entrance way. The project will enhance a vibrant green space which will encourages good health and physical activity. Cabinet Member for Communities and Neighbourhoods at Knowsley Council, Councillor Shelley Powell, said: "This is fantastic news and the funding will be used to address one of our key priorities - to improve the health and wellbeing of our residents. 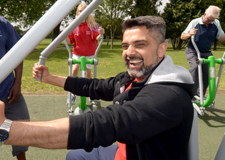 The activities being provided make them accessible for all and I'm sure with the range available, there will be something for everyone to enjoy."